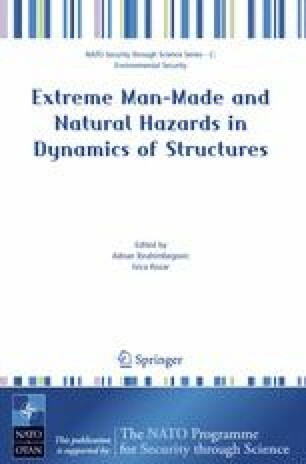 The objective of this paper is to present a performance based design procedure for steel structures in the framework of structural optimization. The structural performance is evaluated by means of the reliability demand and resistance methodology of FEMA-350 (Federal Emergency Management Agency) guidelines where the uncertainties and randomness in capacity and seismic demand are taken into account in a consistent manner. The structure has to be able to respond for different hazard levels with a desired confidence. Both Nonlinear Static and Nonlinear Dynamic analysis procedures are used in order to obtain the response for two hazard levels. The design procedure is performed in a structural optimization environment, where the Evolution Strategies algorithm is implemented for the solution of the optimization problem. In order to handle the excessive computational cost the inelastic time history analyses are performed in a parallel computing environment. The objective of the study is to obtain the design with the least material weight, and thus with less cost, that is capable to respond with the desired confidence for each performance level following the specifications of FEMA-350.